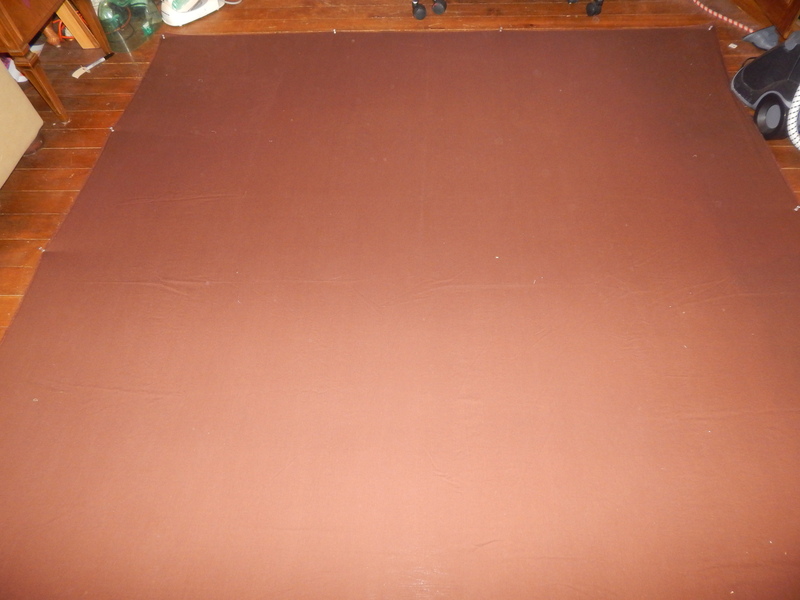 I got started on the quilting last night. 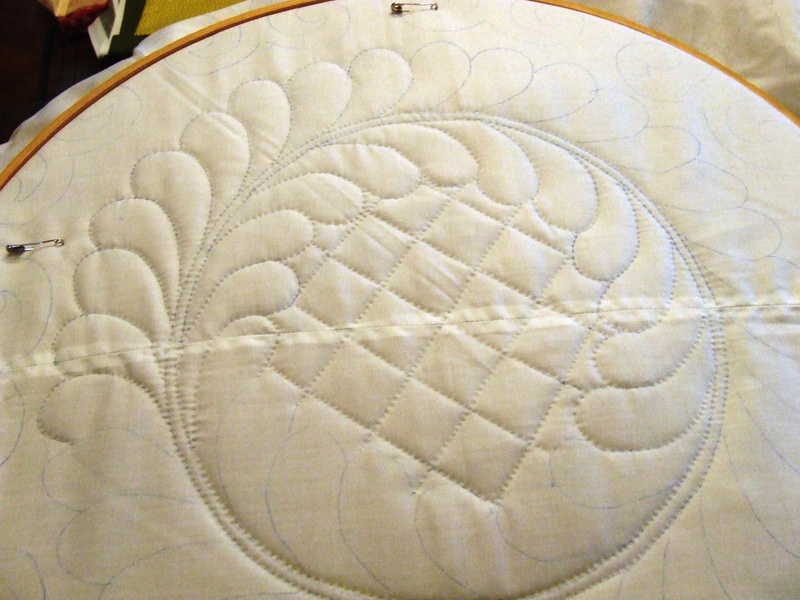 Next I trim off the extra batting and backing leaving a good amount on all sides so it is easier to hand quilt in a hoop (the extra on the edges holds the quilt in the hoop when working on the edges). 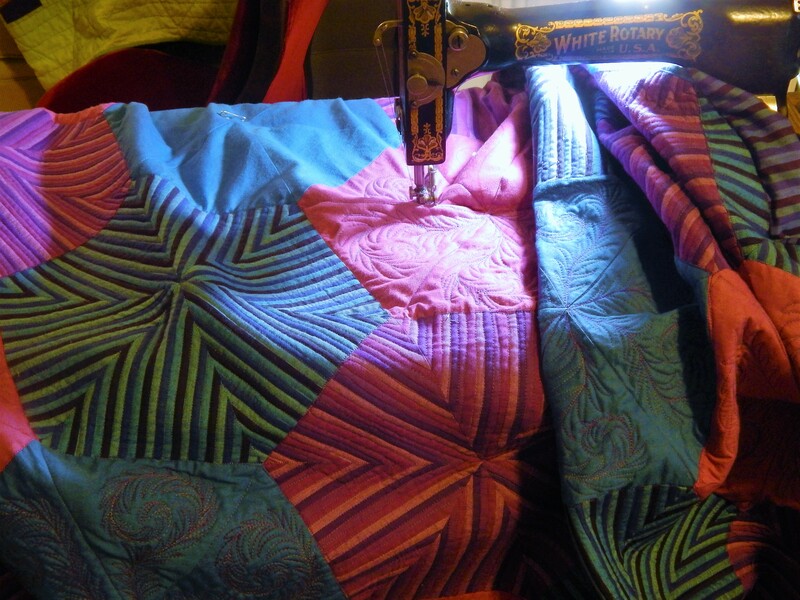 I usually try to avoid quilting over seams because it is much harder to go through the extra layers. In this case I want to follow the curves so I have lots of seams to quilt over. I am using size 8 perle cotton again for this. I am not calling it big stitch quilting. I counted and have 7 stitches per inch. It is larger than I do with normal thread, but not what I would call “big”. 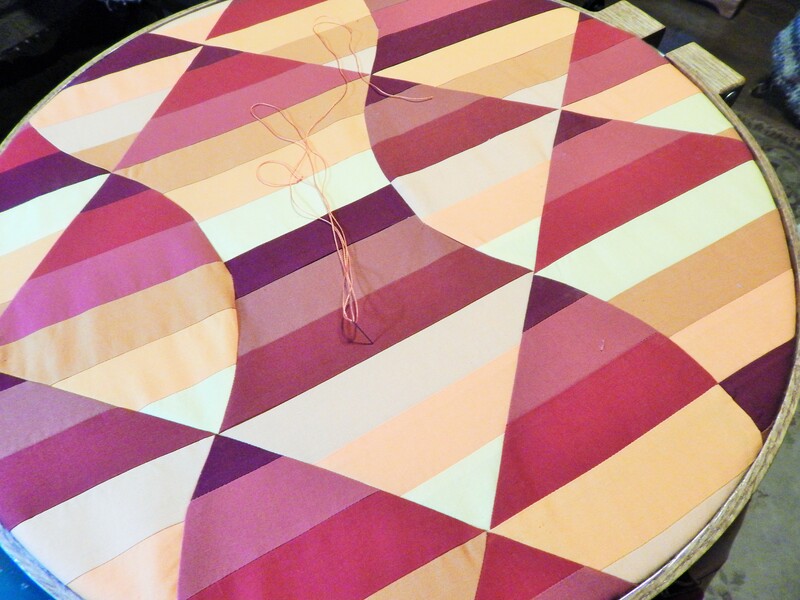 The quilting will follow the curves and emphasize them. 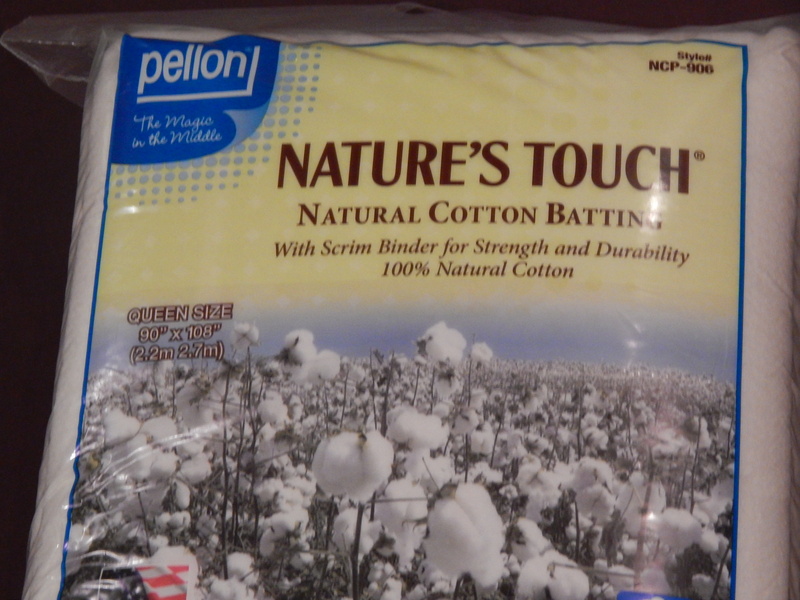 This entry was posted in Quilts and tagged hand quilting, perle cotton thread, Quilts. Getting down on your knees must be an event!! I can’t imagine doing that TIm, you are the MASTER OF IT ALL!! AND!! 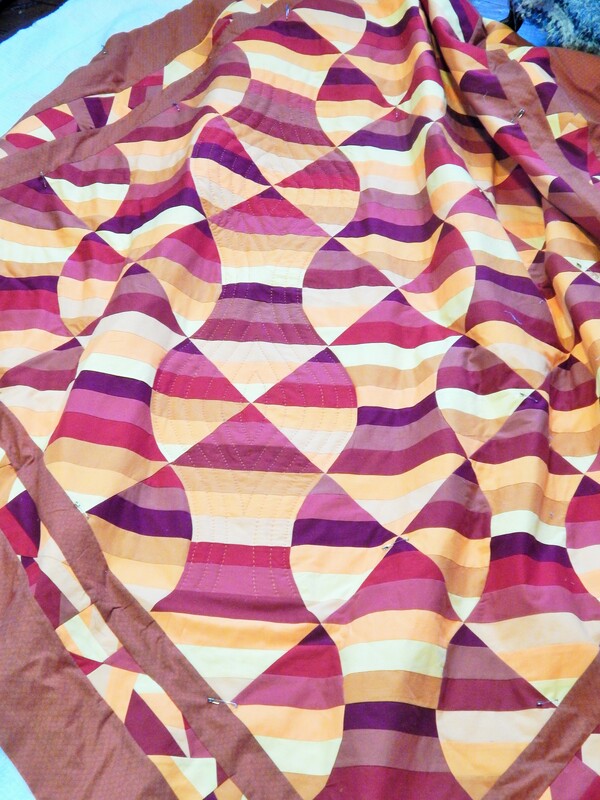 I love the quilt, so graphic!! This quilt is so striking. It’s going to look fantastic! 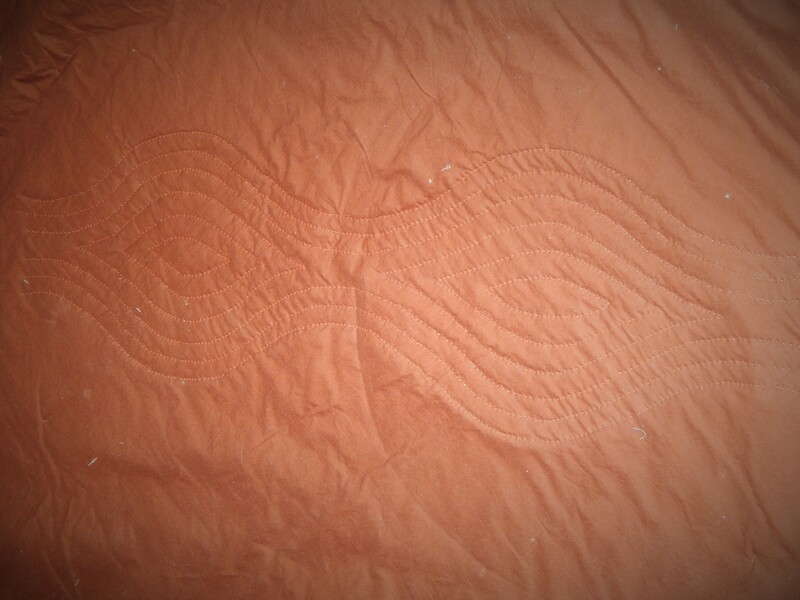 The “Sedona” quilt! Love it! What size needle are u using? 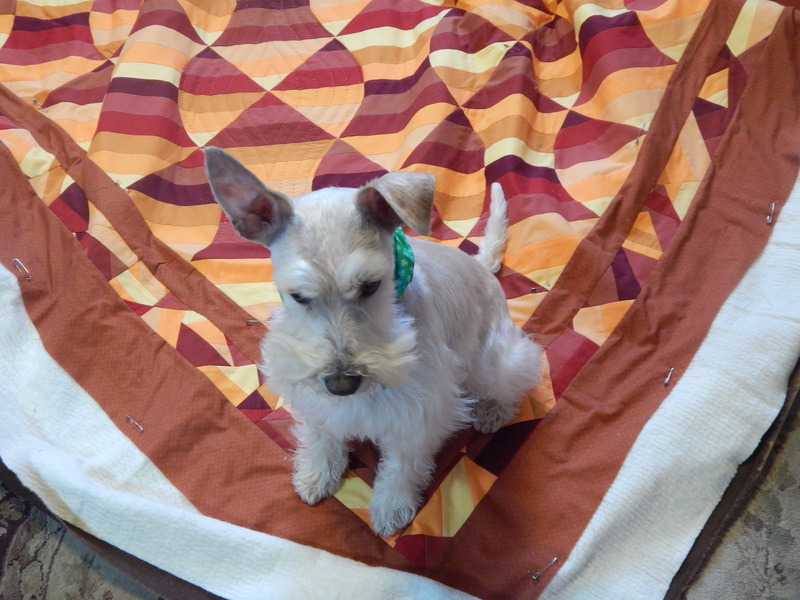 How about another video of you actually quilting? 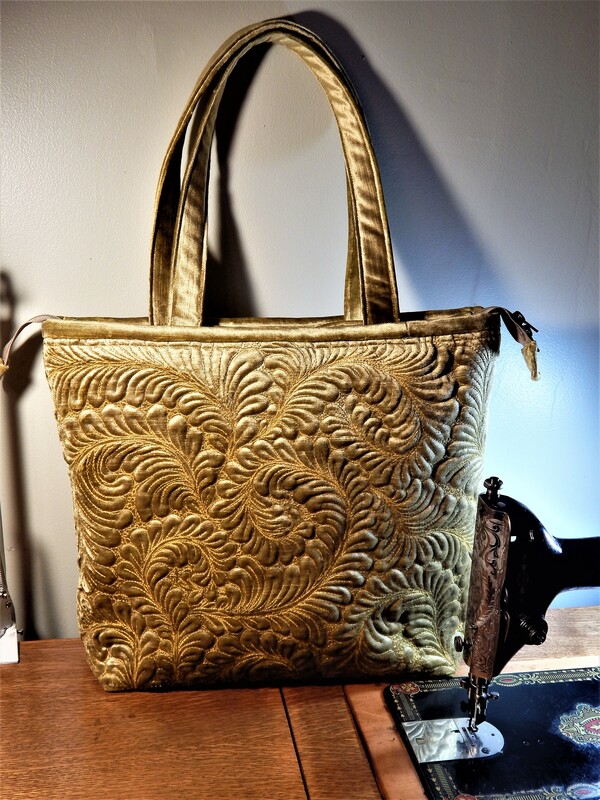 size 5 embroidery needle as always…..
Just striking with your choice of quilting pattern. And, as always, Teddy adds a certain something extra! the quilting will really enhance the quilt. So pretty and Teddy is looking good on that color pallet. Teddy looks serious about his test☺. 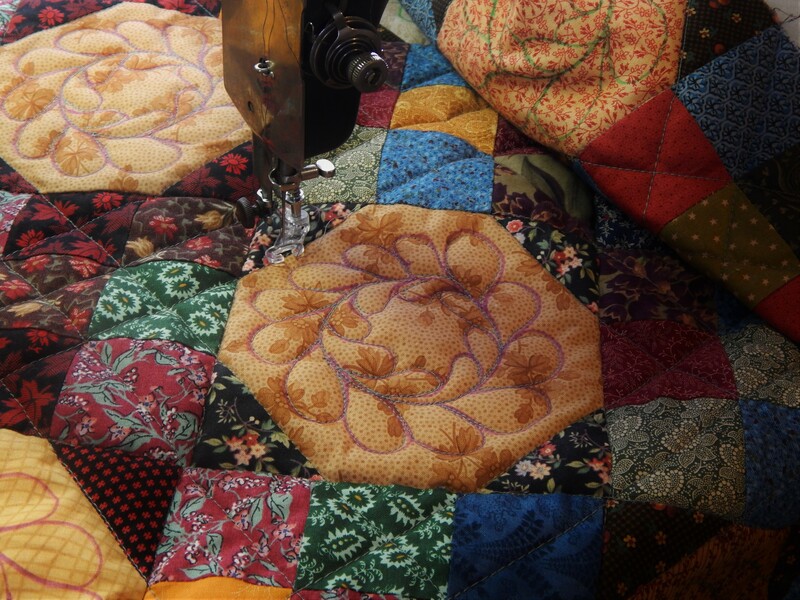 I like the quilting. 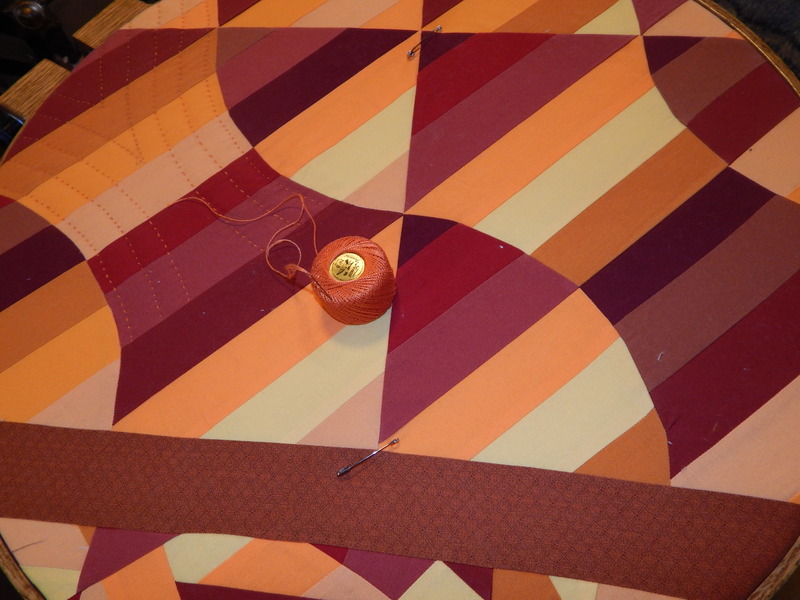 I’ve found that the long quilter’s straight pins with the yellow ball do well to hold my back down because, the floor is carpeted here then, when I place my batting and smooth it I out, I put a pin midway each side and 1 at the top and bottom. I then place the top smooth it and, put 12-18 large safety pins. 3 across from top to bottom, if it’s a queen size I’ll use four across all the way down instead of 3. I have a little stool I use because I’ve had knee replacement surgery and sometimes my knees don’t like the kneeling😊. 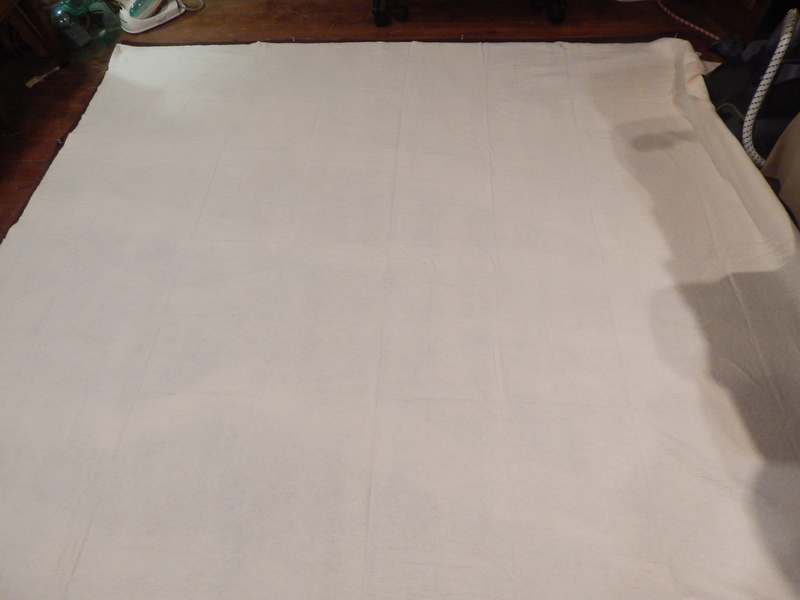 I’ve also found that if you pin a regular bath sized towel from the end down and move it as you progress down the side or edges of your quilt it does really well and is easy to work like that. On queen quilts a larger towel was easier to use and held better in the hoop. Has your weather warmed up yet. It was 78 here yesterday. I took a break and been piecing a puzzle in between working on a top and making seat covers for my car. Breaks over. I had forgotten about this quilt! 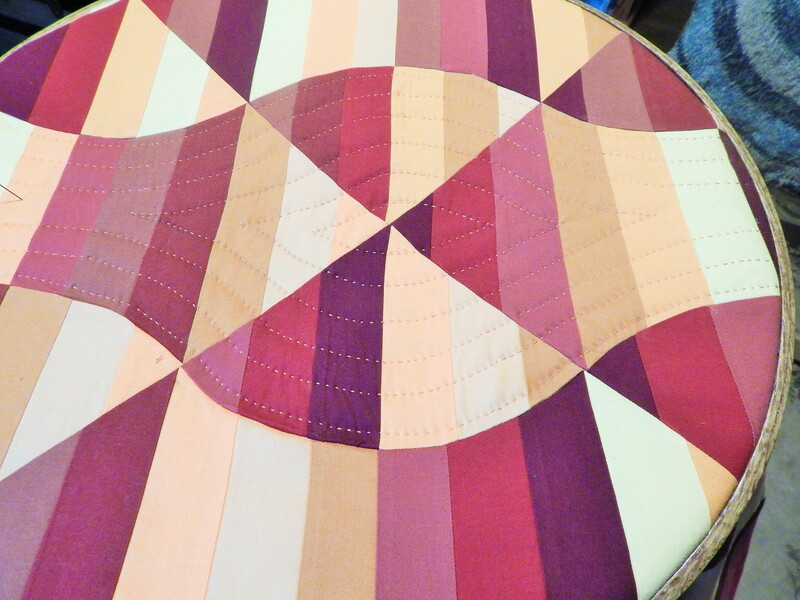 Love the curved quilting…another amazing quilt almost done!! 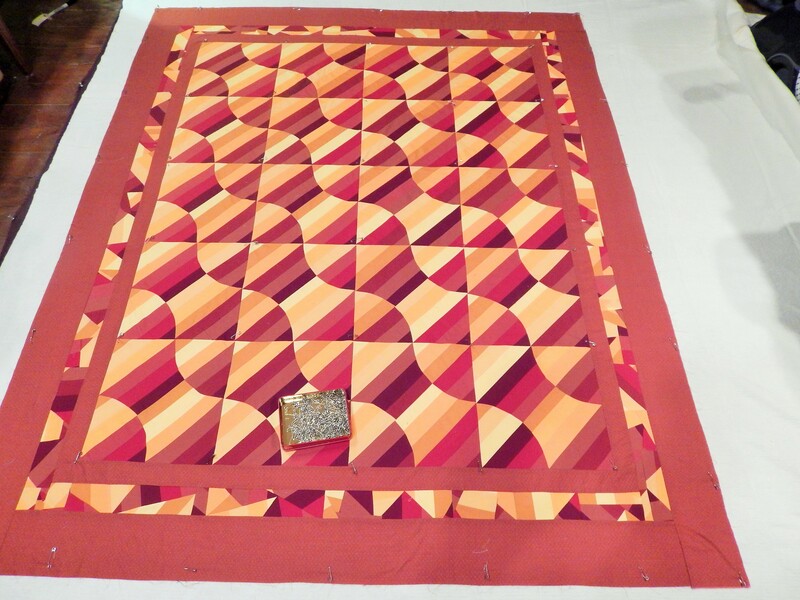 Cannot wait to see it completely done…I sure wish I could hand quilt with your speed! 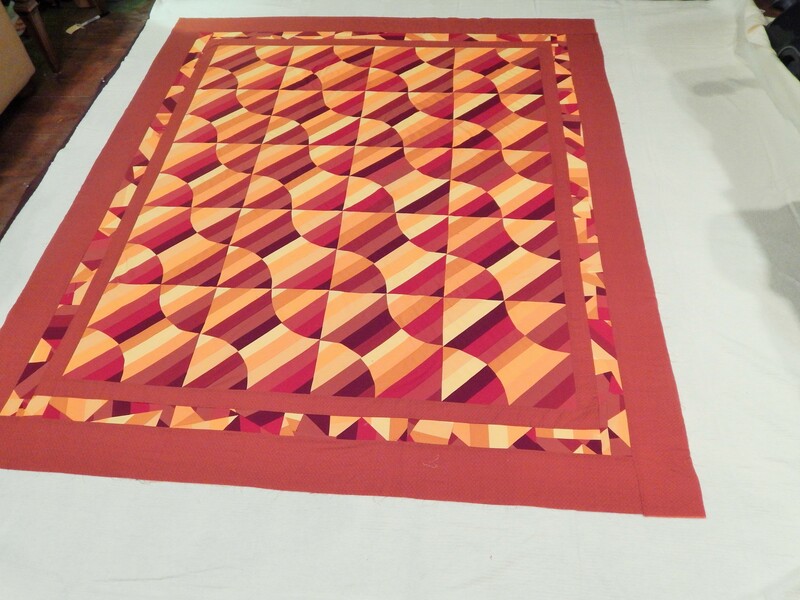 Takes me way longer than it takes you to get the quilting done….I love the process…just wish I could get more accomplished..
Love love love the curved quilting. I love the quilt but I even love the string border! It really adds a zing. 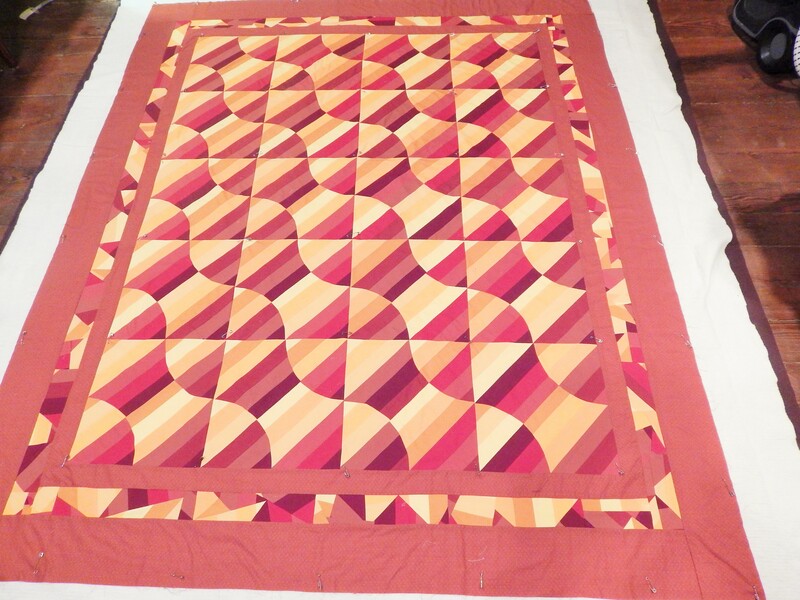 I have given up trying to quilt for the judges….so much more enjoyment when i quilt for myself!